Strawberry shortcake is just cream biscuits, strawberries and lots of whipped cream in my house. This recipe by Paula Dean is a fusion of down-home simplicity and uptown sophistication. The components can be made in advance, but it is best assembled no more than 2 hours before serving. 1. Cut cake horizontally into three even slices. 2. Make the custard by beating cream cheese, condensed milk and topping together with an electric mixer. Set aside. 3. Combine sugar, cornstarch and Jello in a medium saucepan. Add water and cook over medium heat, stirring constantly, until thickened. Cool completely and then stir in cut strawberries. 4. To assemble, place one slice of cake in a large clear glass bowl. Sprinkle generously with Grand Marnier (if using). Top with one third of the strawberries in glaze and one third of the custard mixture. Repeat with more cake, liqueur, glaze and custard. Now a third layer in the same order. 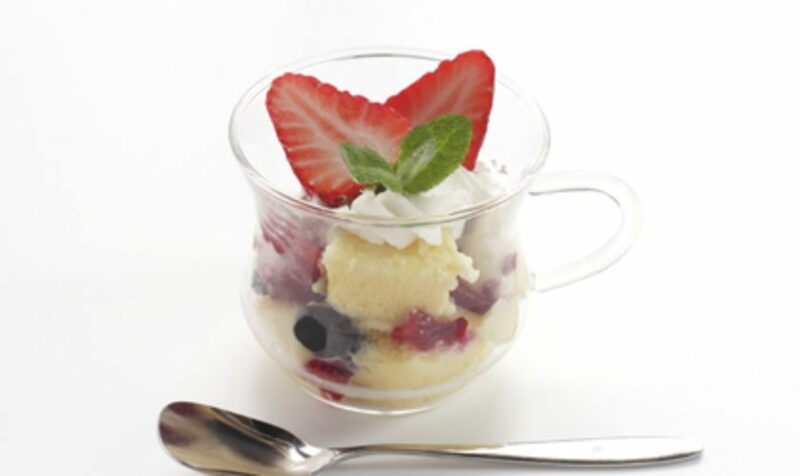 Top with mounds of fresh whipped cream and garnish the bowl with the best whole strawberries and mint leaves. Yum!